Nos Krusero Apartments is a popular choice amongst travelers in Willemstad, whether exploring or just passing through. The hotel offers a high standard of service and amenities to suit the individual needs of all travelers. Facilities like free Wi-Fi in all rooms, facilities for disabled guests, express check-in/check-out, luggage storage, Wi-Fi in public areas are readily available for you to enjoy. All rooms are designed and decorated to make guests feel right at home, and some rooms come with television LCD/plasma screen, internet access – wireless, private pool, internet access – wireless (complimentary), non smoking rooms. Recuperate from a full day of sightseeing in the comfort of your room or take advantage of the hotel's recreational facilities, including outdoor pool, diving, fishing, pool (kids), garden. Convenience and comfort makes Nos Krusero Apartments the perfect choice for your stay in Willemstad. One of the community users reported us that the Nos Krusero Apartments in Westpunt is a diver friendly hotel. Rancho el Sobrino is a popular choice amongst travelers in Curacao, whether exploring or just passing through. Featuring a complete list of amenities, guests will find their stay at the property a comfortable one. Take advantage of the hotel's BBQ facilities, car hire, restaurant, bar, safety deposit boxes. Guestrooms are fitted with all the amenities you need for a good night's sleep. In some of the rooms, guests can find air conditioning, balcony/terrace, satellite/cable TV, kitchenette, refrigerator. Enjoy the hotel's recreational facilities, including outdoor pool, diving, garden, before retiring to your room for a well-deserved rest. A welcoming atmosphere and excellent service are what you can expect during your stay at Rancho el Sobrino. One of the community users reported us that the Rancho el Sobrino in Westpunt is a diver friendly hotel. 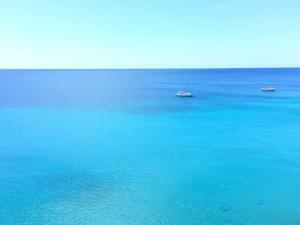 Blue View Apartments is conveniently located in the popular Curacao area. The hotel offers a high standard of service and amenities to suit the individual needs of all travelers. Free Wi-Fi in all rooms, Wi-Fi in public areas, car park, car hire, safety deposit boxes are there for guest's enjoyment. Comfortable guestrooms ensure a good night's sleep with some rooms featuring facilities such as air conditioning, balcony/terrace, satellite/cable TV, television, in room safe. To enhance guests' stay, the hotel offers recreational facilities such as private beach, diving. Blue View Apartments combines warm hospitality with a lovely ambiance to make your stay in Curacao unforgettable. One of the community users reported us that the Blue View Apartments in Westpunt is a diver friendly hotel.